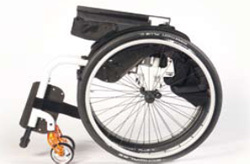 The Quickie Xenon SA is a really lightweight wheelchair and easy to transport if you like to get out and about a lot. It weighs just 9.7kg and folds easily. It also has a unique locking system, which makes it light, quick and simple to put into a car. 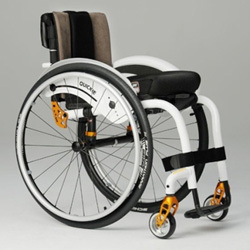 The Xenon SA has swing away leg rests giving you the option of using your foot or even both feet to self-propel. You can choose from a wide range of frame colors too so the Xenon SA can reflect your own individual style.